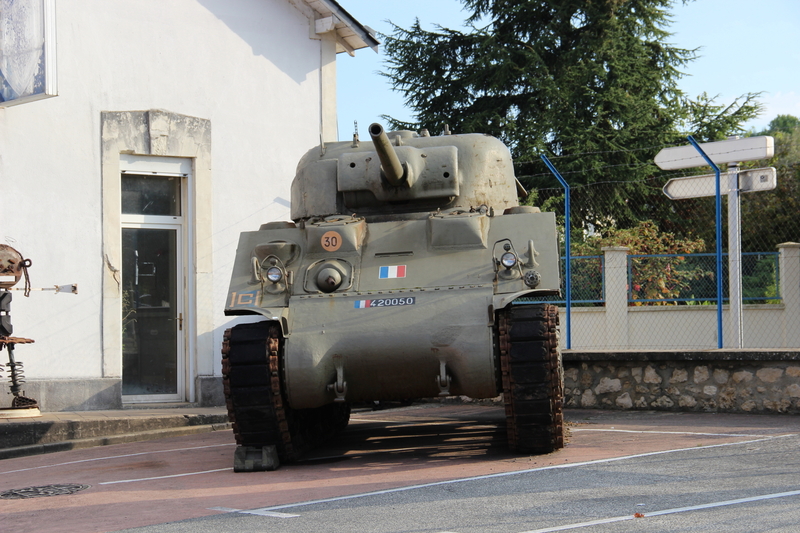 I’ve always dreamed on seeing the tanks I used to see in history books in person when I was a kid. Used to imagine myself going to places and be amazed by these vehicles and all of the engineering behind them. 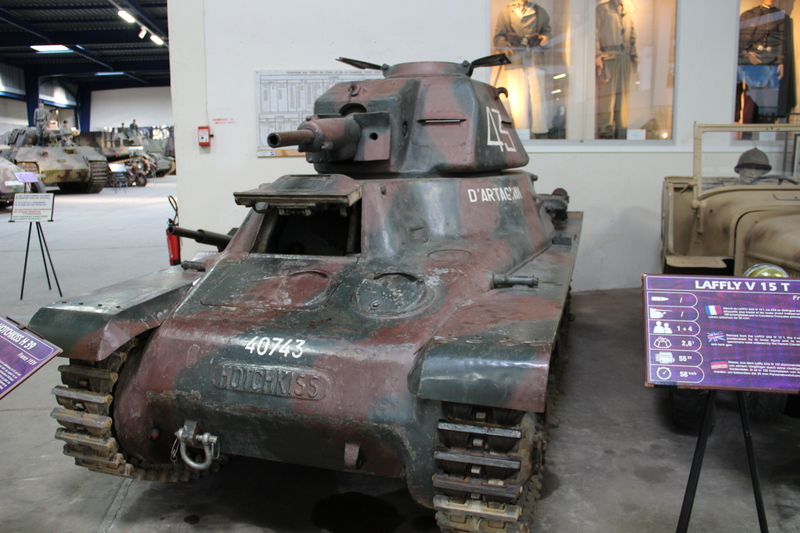 When I moved to the UK back in 2011, the first thing I did when I finally had money was to buy a car and go to the Bovington Tank Museum. My wife said to me when we got there “You look like a kid with a new toy”… And I was, I was finally seeing what I always dreamed of and I could touch them but this post is not about that visit, I’ll leave that to a latter post. 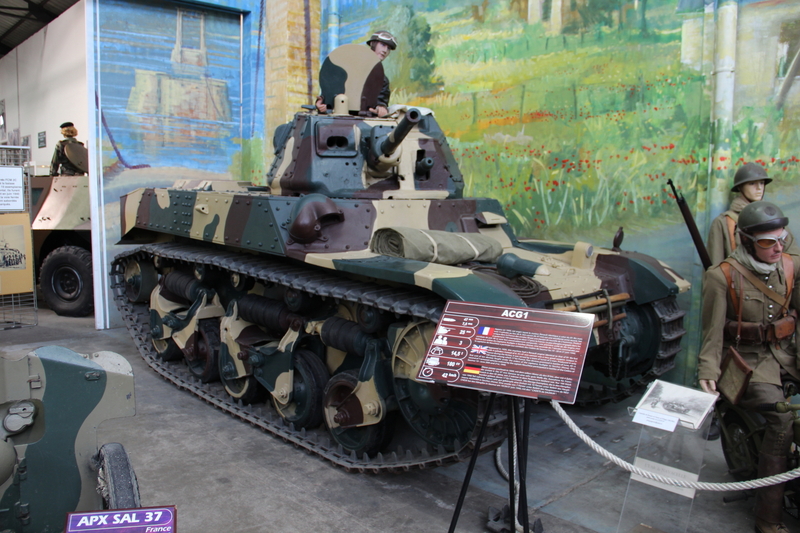 I will be sharing with you, in a series of posts, my visit to the Saumur Tank Museum, in Saumur, France or in as the French say Le Musée des Blindés de Saumur, back in September 2015. 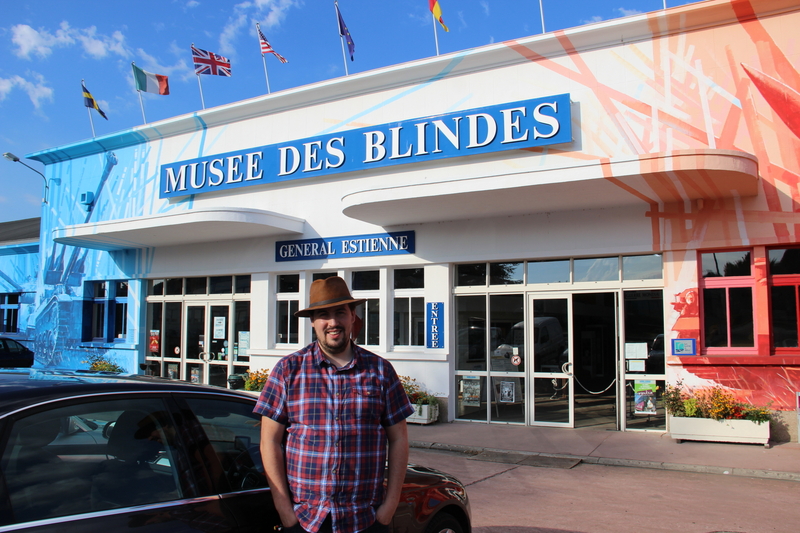 Me in my Indiana hat that my lovely wife gave to me… and my trademark. I found myself in here when I finally decided to find where the French museum was and to my surprise, I found out that it was 80 km from where me and my wife usually stop to sleep on our road trip to Portugal… yeah, I drive all the way to Portugal from the UK once or twice a year and its an amazing trip. And I have to be honest, it wasn’t disappointing. 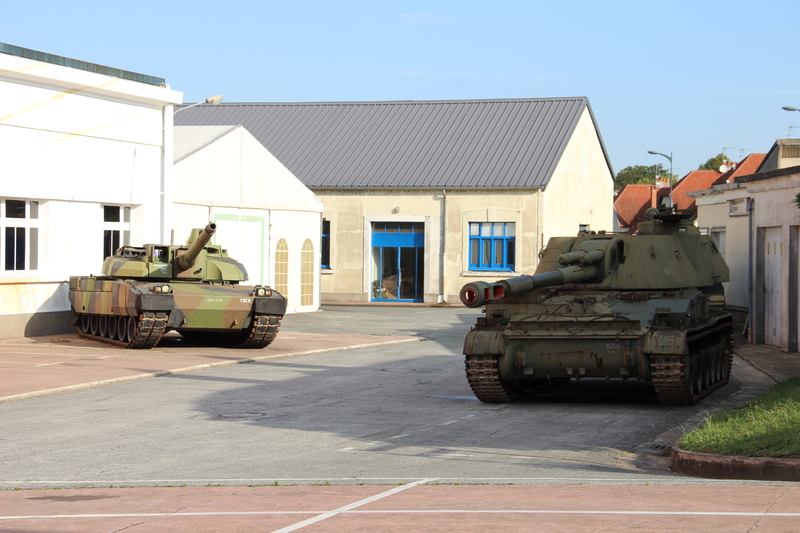 The museum has a huge collection and with very unique vehicles for any tank enthusiast to go crazy about, in total the museum has over 800 vehicles and over 200 are in full working order. The visit costs a mere 8€ and if you want to take pictures/videos you have to pay an extra 5€, which is a great price for what you get. 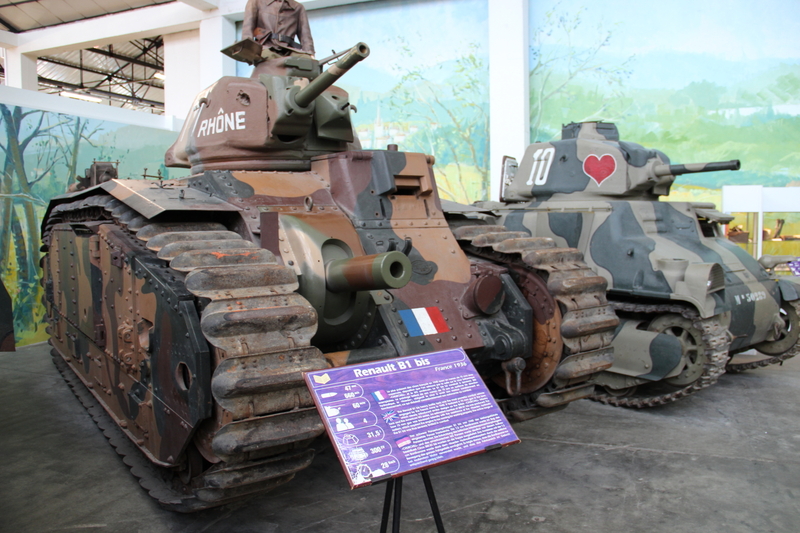 The museum is divided into several ‘main’ areas, where at first features tanks from World War I (1914-1918) and a French Campaign (1940) area. Then you got a German Hall, Italian Hall, Allied Hall, French Hall and a Contemporary Hall. And last but not least, you got an area outside that you can visit for free. 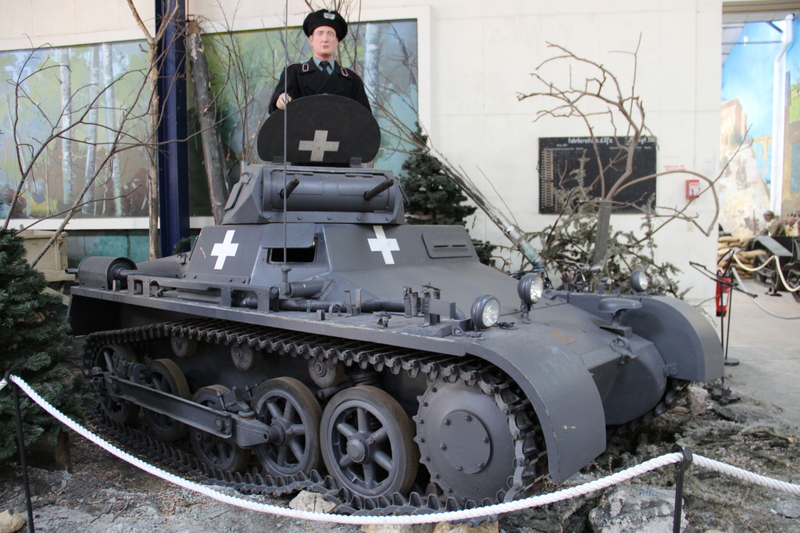 In this post I will be talking about the World War I (1914-1918), French Campaign (1940) and a bit of the German Hall. 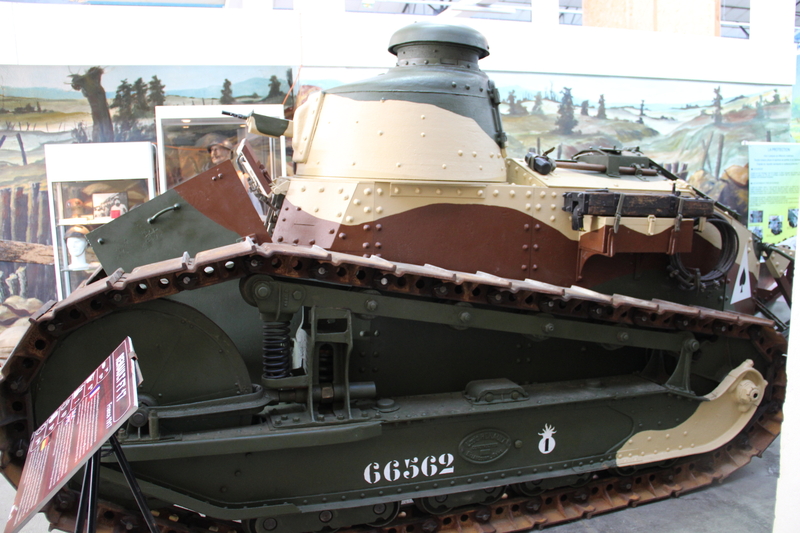 Tanks like the Schneider CA 16 and the St. Chamond were the first to be produced and used in battle by the French. 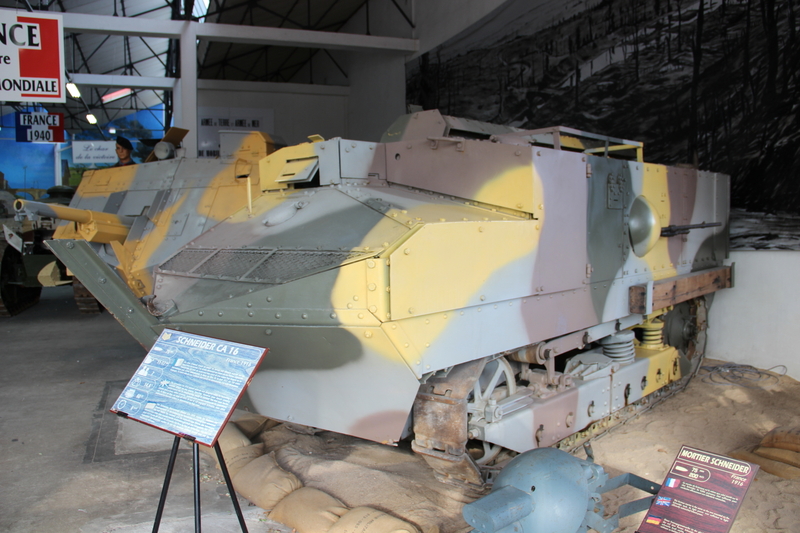 The Schneider CA was designed solely for launching a surprise attack on the enemy trenches, it featured a 75mm gun and two 8mm machine guns and would reach a warping speed of 8 km/h. 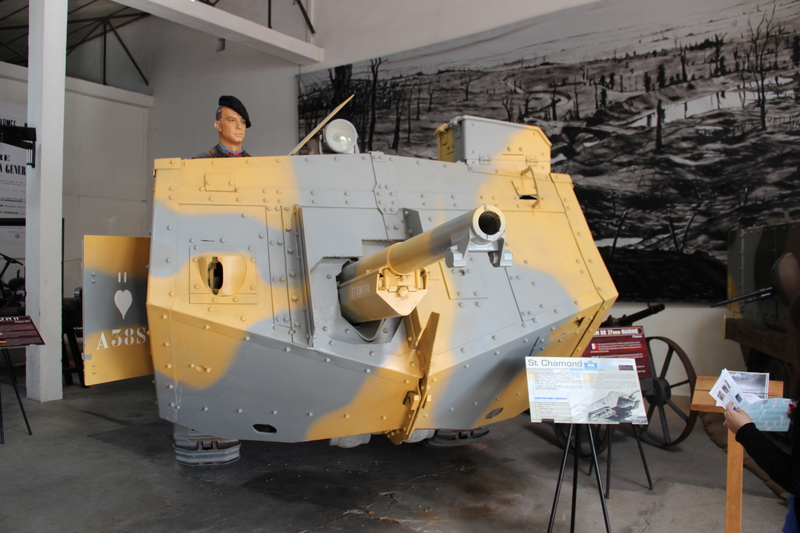 In the end it had poor trench crossing performance and led to disappointment results in combat, only 132 were ever produced and 76 were either destroyed by German artillery or abandoned by their crew. 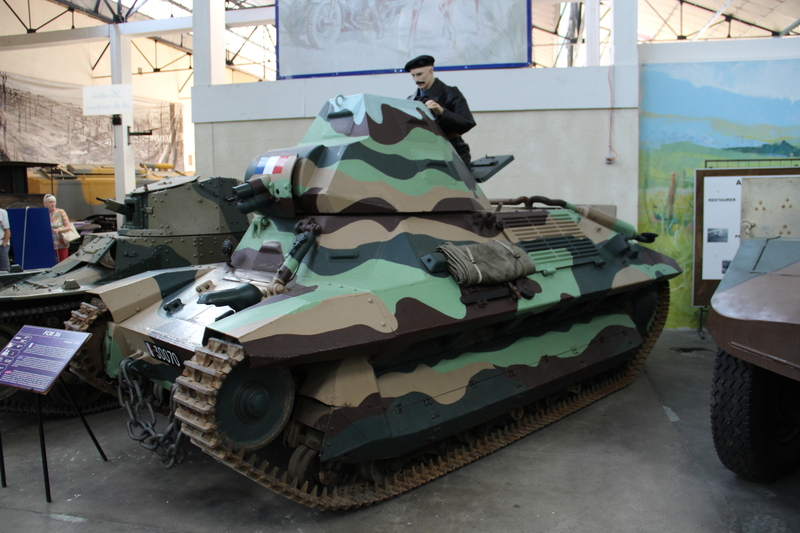 The St. Chamond was the second heavy tank produced by France, hundreds of them were produced and it had a 75mm gun on the front and four 8mm machine guns, it was because of it’s 90cv engine that it could reach an impressive 12 km/h, but in the end it wasn’t a success because of its size that limited its manoeuvres on the field, this resulted on being replaced by the FT-17 and the British heavy tanks, but the Great War ended before it was fully replaced. 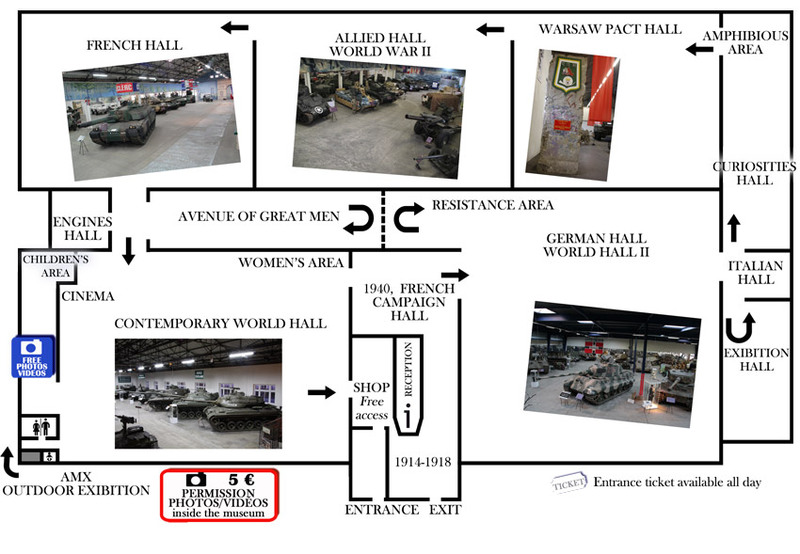 As you progress in the Museum you come to the French Campaign (1940) Hall. 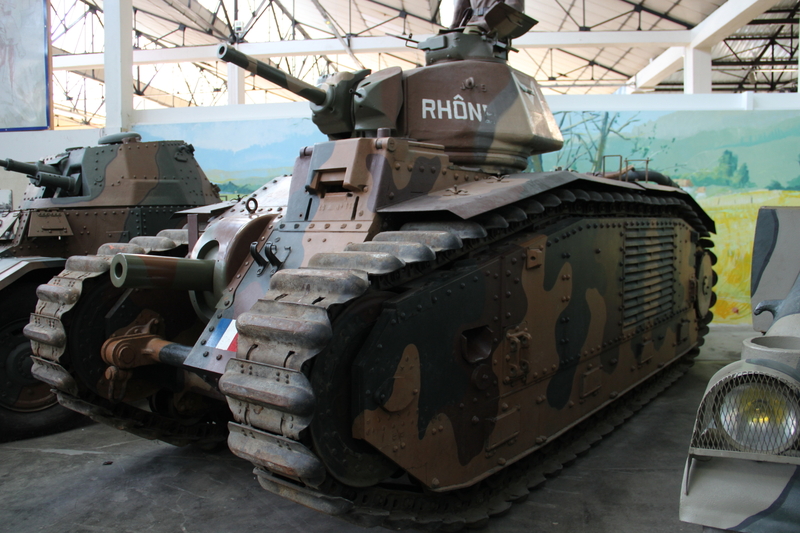 In here you can see what the French designed and produced after the Great War. 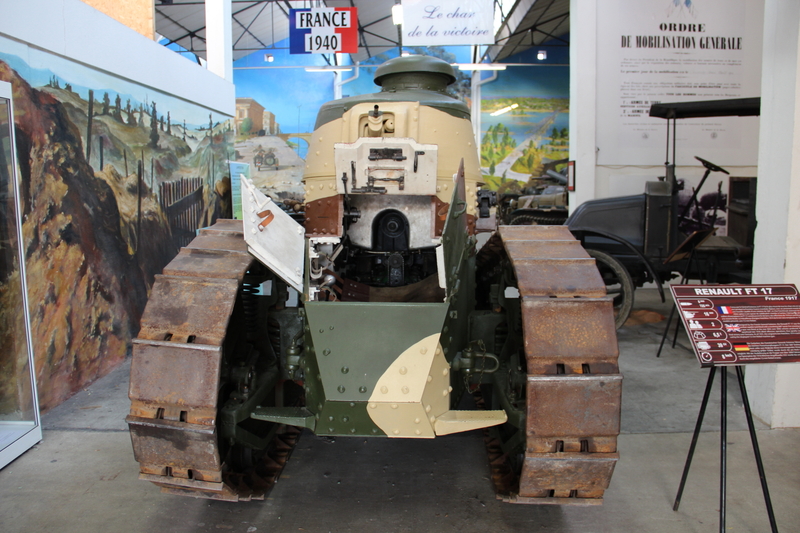 The design that the Renault FT-17 brought came to stick around, driver at the front, rotating turret with main armament and engine compartment on the rear. I find these years from 1918 to 1939/40 very interesting on what the French came up with, but to be honest, they were not too beautiful. 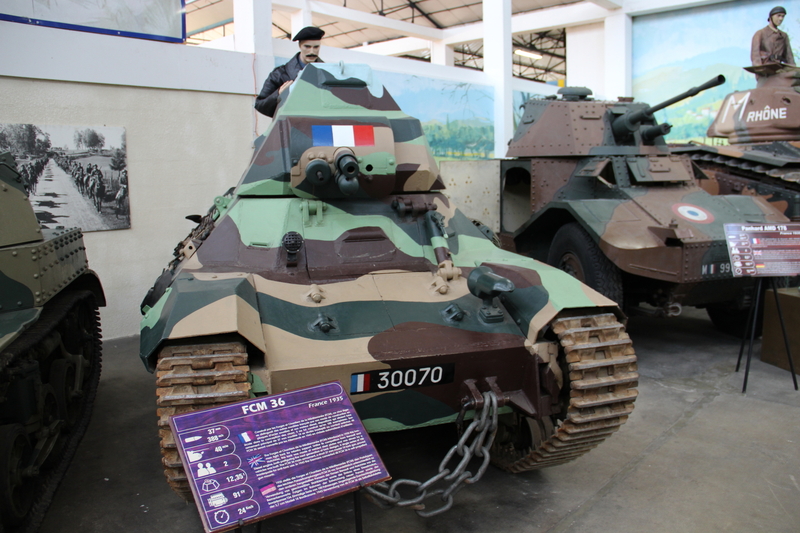 The French actually came to have the most advanced armoured divisions in the World, with tank designs that featured a decent main gun enough to give support to the infantry and great armour to protect the crews. So why weren’t they a success on the battlefield? 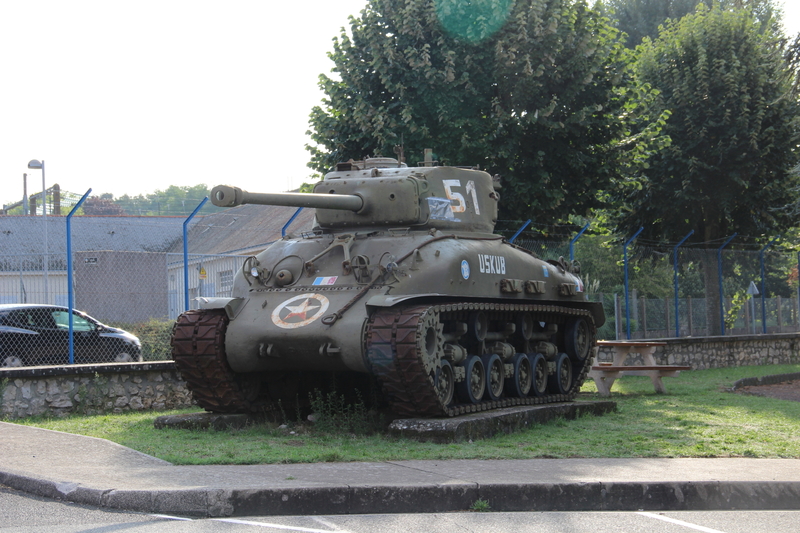 Well, a lot of Generals thought of the tank as something that would never have its place on the battlefield, the majority believed that if another war would take place it would be just like the First Great War, so all these tanks were just to show off their power, just like the British tried to do after the war and this resulted in them never being properly used when World War II started. 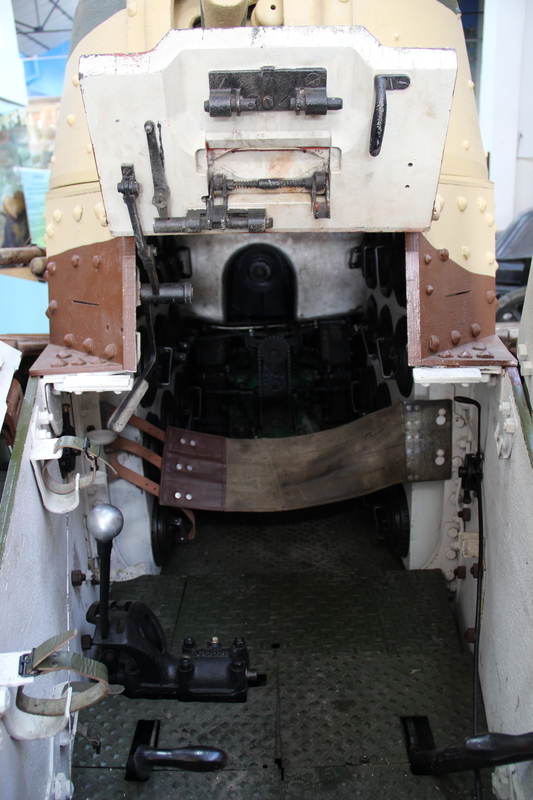 What I loved the most is that a lot of them are open for you to have a peek inside and imagine how the crews would fare when fighting in these mean machines. 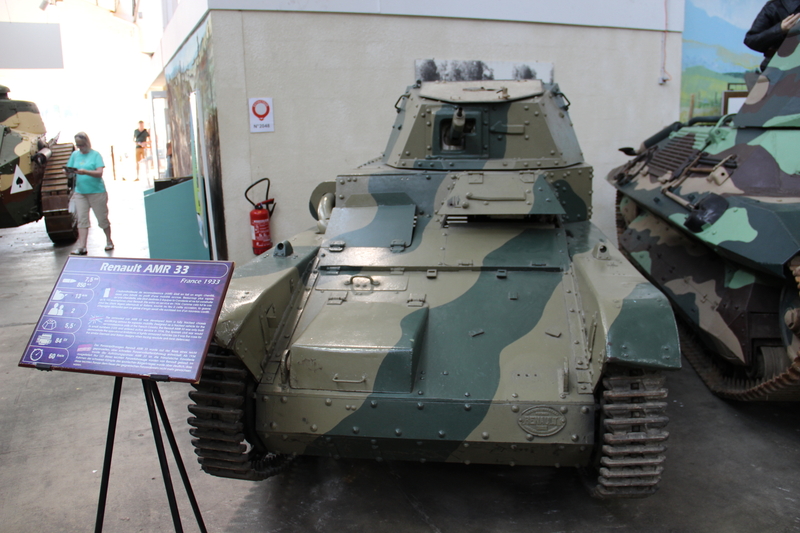 You can see by the design of tanks like the Renault R35, Hotchkiss H39, AMR 33, FCM 36 that all have a similar design and that the slopped armour design was already being used, reason why I usually say that the Russian T-34 was not an innovation and was not the first tank to use this. It might have been the first to fully use this feature to it’s advantage, but it wasn’t the first ever to use it. 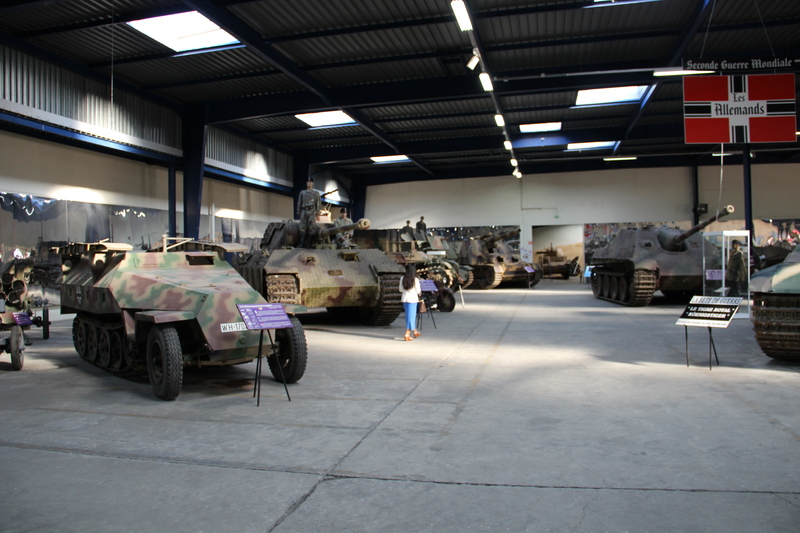 Then you can progress to what I would say is my favourite Hall in the Museum, the German Hall. 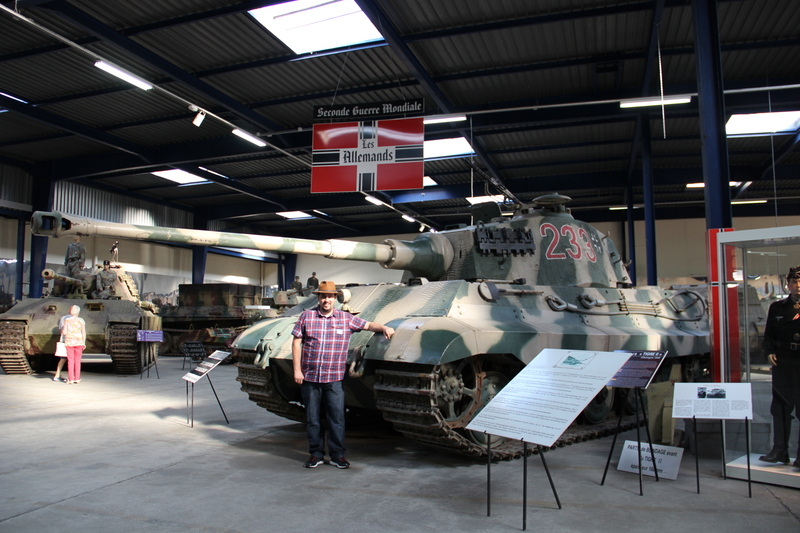 I’m a big fan of the “big cats” and all German armour used in World War II, they were very advanced and they had a cool design, but that is just my personal preference. 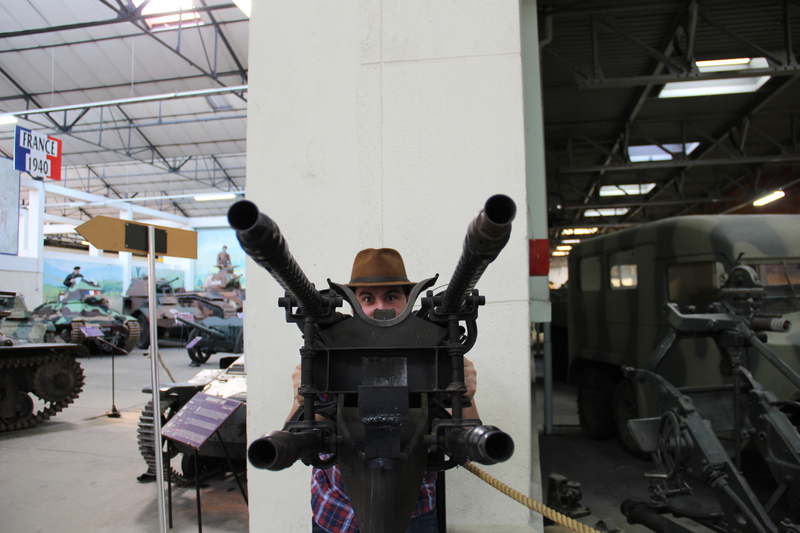 But just before I got in… I had to have a go at that gun. 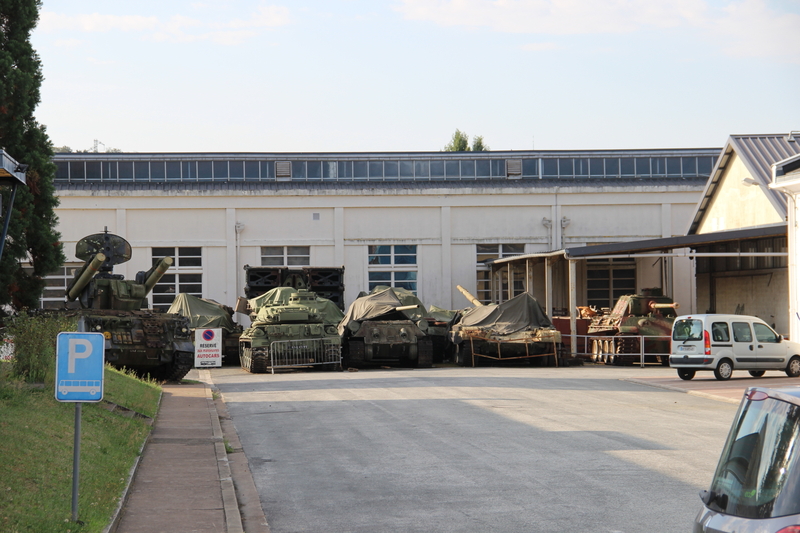 As you go in, you see that this hall is huge and has a wide variety of vehicles. 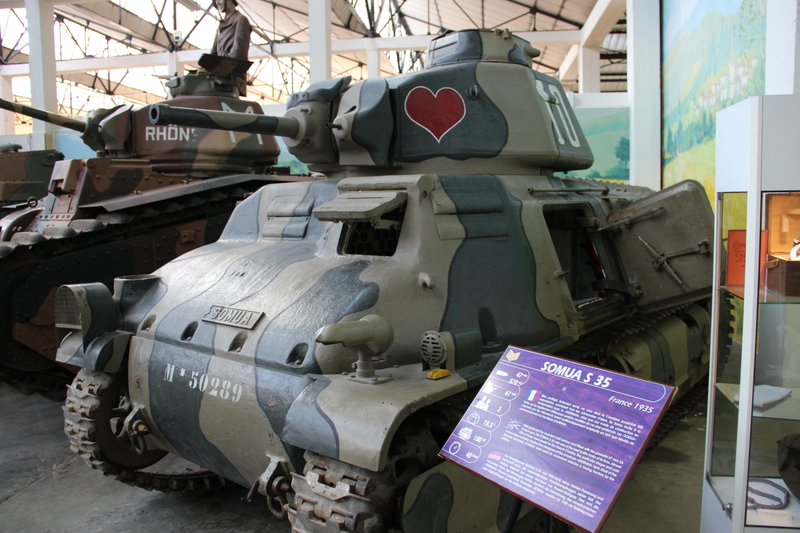 I was excited by the fact that I was going to see a second Tiger I with a unique feature, it has the transport tracks instead of the main ones used for normal operation. 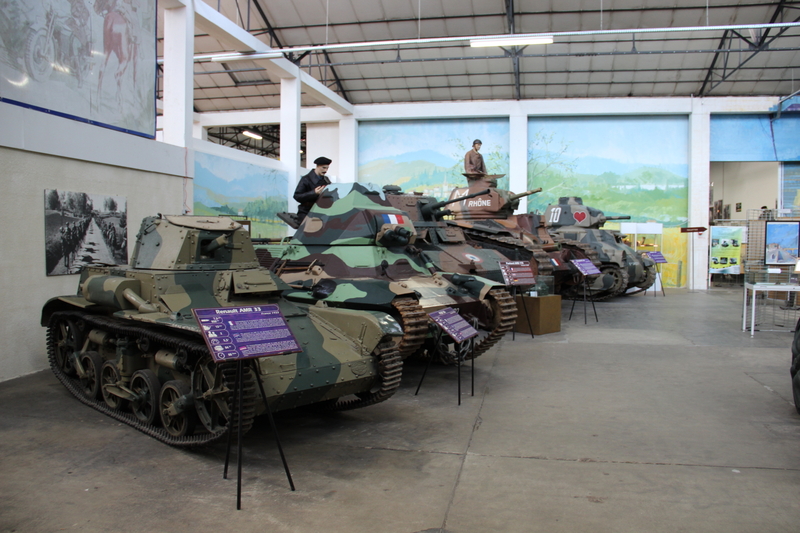 One of the first tanks you see is the Panzer I Ausf. 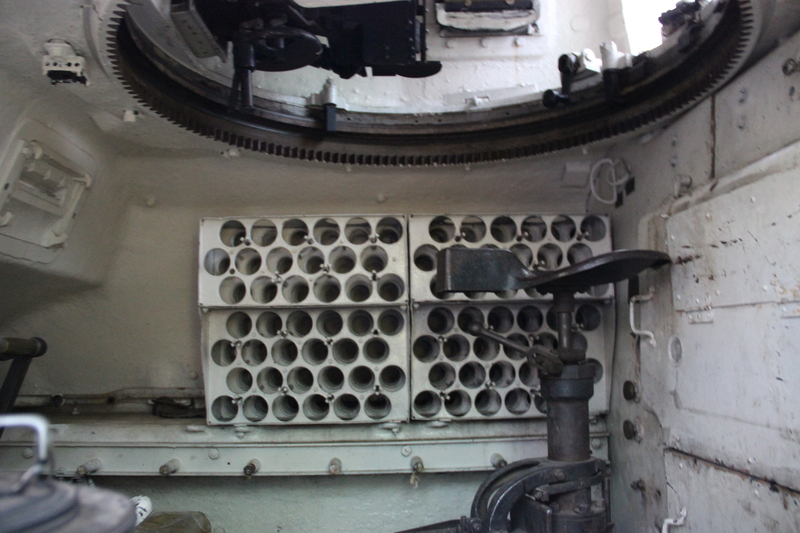 A with 2 x 7.92mm MG 13 machine guns as main armament. 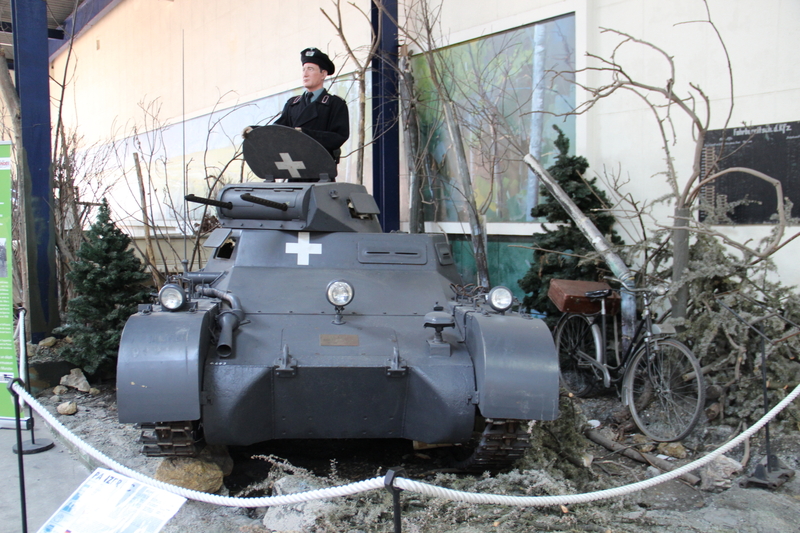 This tank was the first tank to be mass produced by Germany since World War II and it was intended only as a training tank to introduce the concept of armoured warfare to the German Army. 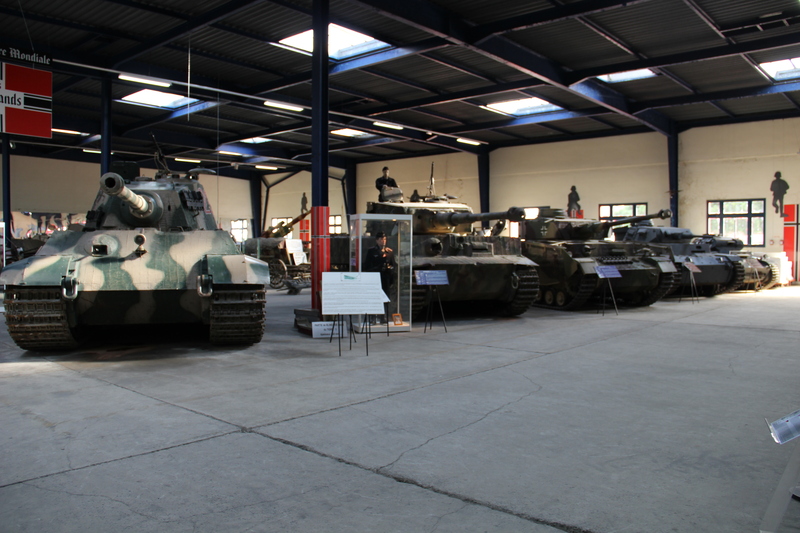 As I turned around I couldn’t take my eyes of what the Museum considers one of their Crown jewels the famous Panzerkampfwagen Tiger Ausf. 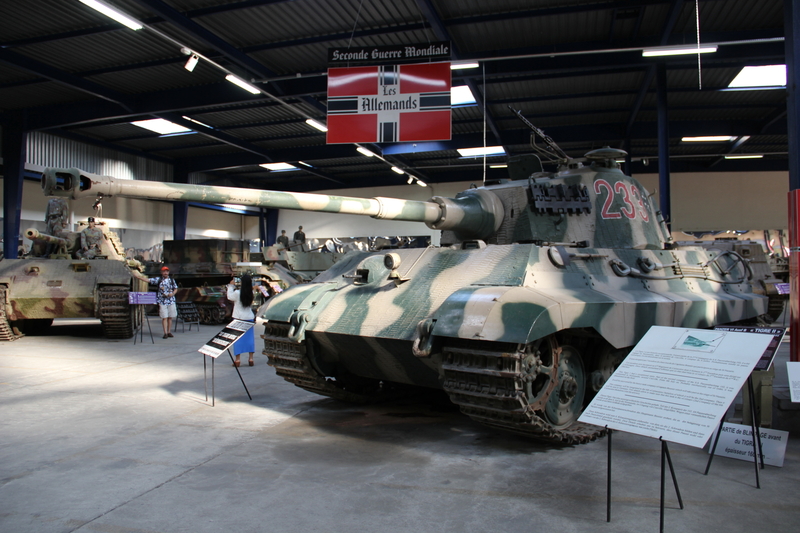 B or also known as the Saumur Tiger II because of being one of the remaining Tiger II tanks still in working order. 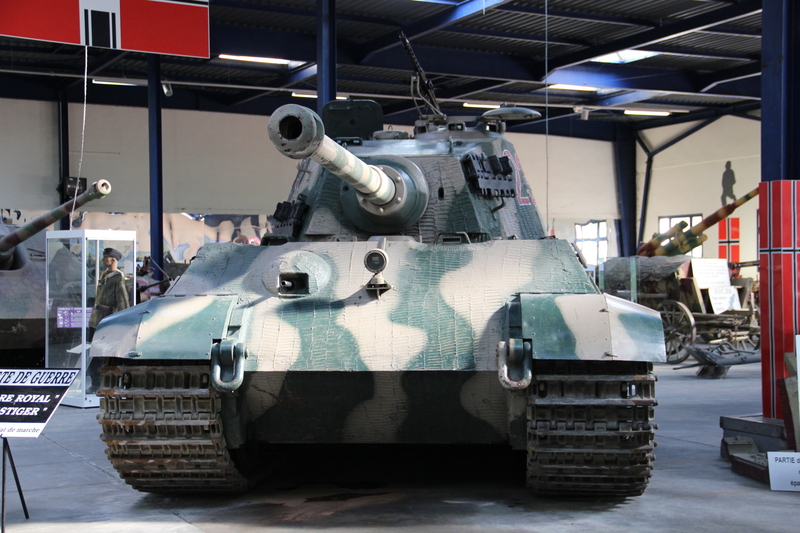 This beast alone could have turned the war if it would have entered it earlier than it did and it is considered the ultimate war machine produced by Germany before the end of the war. 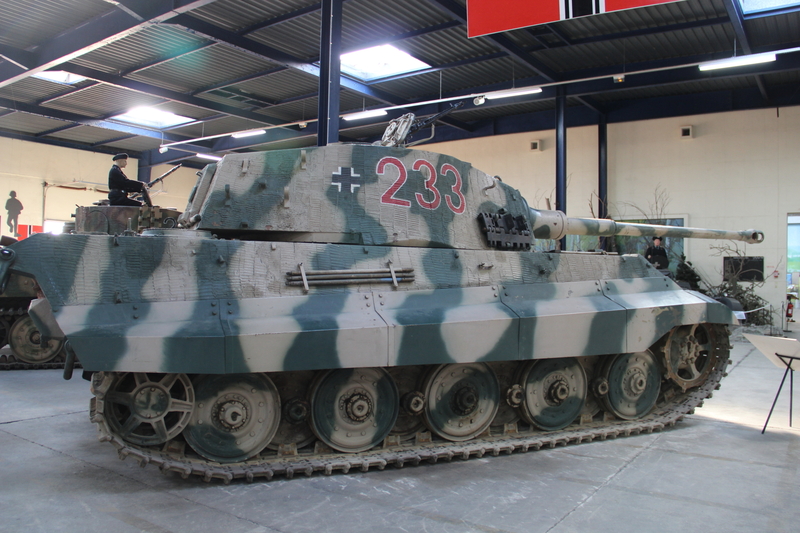 It was the successor of the Tiger I and it needs no introductions, I am pretty sure all of you know almost everything about this tank. 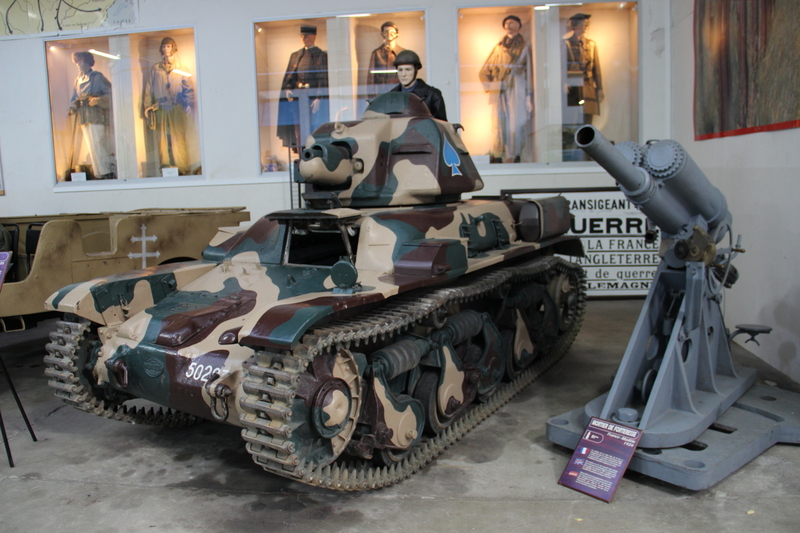 This concludes this first part on my visit to Saumur Tank Museum. I hope you enjoyed my first article and please leave your comments on what I can improve and if you want more details or information.